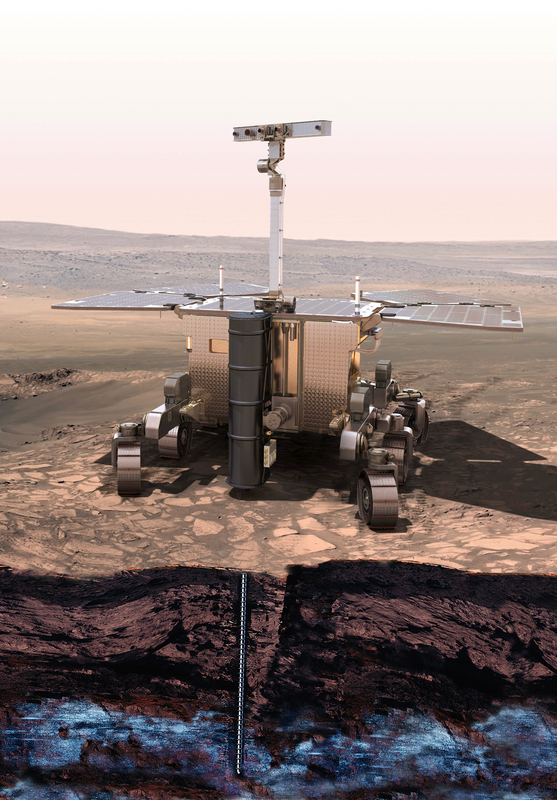 An instrument similar to those used on Earth by art detectives and to sense explosives at airports will be taken into space for the first time by ExoMars, the European Space Agency’s mission to Mars in 2018. This Raman spectrometer will help space scientists to hunt for traces of Martian life. Astrobiologists, who will be presenting their work at the European Planetary Science Congress (EPSC) 2013 in London on Monday 9 September, have shown that Raman spectroscopy can be used to detect micro-organisms even after they have been damaged by exposure to very high levels of radiation, as is encountered on the Martian surface. Unlike the Earth, Mars has no substantial atmosphere or global magnetic field, and so is completely unprotected against the flood of energetic radiation particles from outer space. This cosmic radiation is a problem for human astronauts, but also for the survival of simple life – or even signs of its previous existence – in the martian ground. The scientists worked with model bacteria that are representative of the sort of microbial lifeforms that might be expected to have emerged on Mars and used a Raman spectrometer to track how the detectable signal from them changed with increasing exposure to radiation. They found that the Raman spectrometer could clearly detect the presence of carotenoid molecules in the bacteria. Carotenoids are widely used by microorganisms for protection against harsh environmental conditions and have been proposed by astrobiologists as good biosignatures of life on Mars. After 15,000 Gray of radiation – thousands of times higher than the radiation dose that would kill a human – the tell-tale signature of these cells was still discernible, but was completely erased by a radiation dose ten times that. From Monday 9-Friday 13 September, Dr Dartnell can be contacted through the EPSC 2013 Press Office.